Explore something new by a woman who was recently nominated for or won the National Book Award. About "The Fifteen Wonders of Daniel Green"
This debut is heartwarming and absorbing. Daniel Green lives a secretive life, one not even his parents truly know about. He is a “circler.” Daniel spends his time designing and creating beautiful crop circles that leave locals wondering. But when Daniel meets Sam and his family, he develops an appreciation for the mysterious bond of family and community. Will he complete his fifteenth circle? For readers who enjoy fortitude and hope in rural America. Reviewed for you here by librarian Karen. Publication date is set as April 2, 2018. About "The Trial of Lizzie Borden"
"Think you know the whole story of Lizzie Borden? You have no idea. 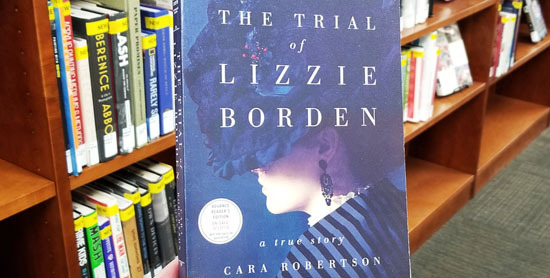 "The Trial of Lizzie Borden" provides a thoroughly researched and highly detailed account of the ins-and-outs of the trial that became a media sensation, the lives and deaths of a husband and wife, and the enigmatic woman at the center of it all. For readers who enjoyed The Suspicions of Mr. Wicher and The Devil in the White City." Reviewed for you here by librarian Sarah. Publication date is set as March 12, 2018. About "Daisy Jones & The Six"
"Imagine watching a fascinating documentary about your favorite It Band of the 70s. That documentary is "Daisy Jones and the Six" by Taylor Jenkins Reid. 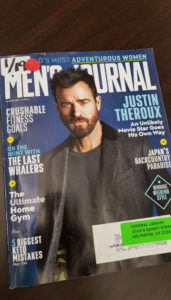 The story is formatted like a documentary script, told only through interviews with the band members, their entourage, and their friends and family. With subtle but powerful writing, the author details the band’s rise to stardom and their complicated relationships, all of which unfold with the drama of Fleetwood Mac." Reviewed for you here by librarian Sarah. Publication date is set as March 15, 2019. "Set in 1930s colonial Malaya, storylines combine and tangle in unexpected ways as a dance hall girl finds the missing finger a houseboy is desperately searching for. A string of dead bodies spells misfortune as a possibly supernatural tiger stalks the characters and dreams contain messages from the beyond. The final, stunning reveals only succeed due to masterful plotting. Steeped in Malayan and Chinese folklore, Choo’s opulent writing and world building weaves family obligations and colonialism with were-tigers and ghosts. The result is compelling and mesmerizing." Reviewed for by librarian Jennie. Publication date is set as February 12, 2019. About "Maid: Hard Work, Low Pay, and a Mother's Will to Survive"
"Maid" is an authentic, reflective, and sobering look at a woman’s struggle to support herself and her daughter while living paycheck to paycheck and trying to navigate the difficult challenges, and ever-shrinking resources, of the American social safety net. Ms. Land’s direct language and descriptions of her experiences result in a memoir that is as thought-provoking as it is moving. Recommended for readers who enjoyed "Educated" by Tara Westover and "Evicted: Poverty and Profit in the American City" by Matthew Desmond. Reviewed for you by librarian Sarah. Publication date is set as January 22, 2019.